Greater Manchester’s second Collaborate gathering took place in Salford last week. Zalan Alam helped to organise the event, which brought together a variety of leaders from across primary care, including a homeless service manager and two refugee doctors. 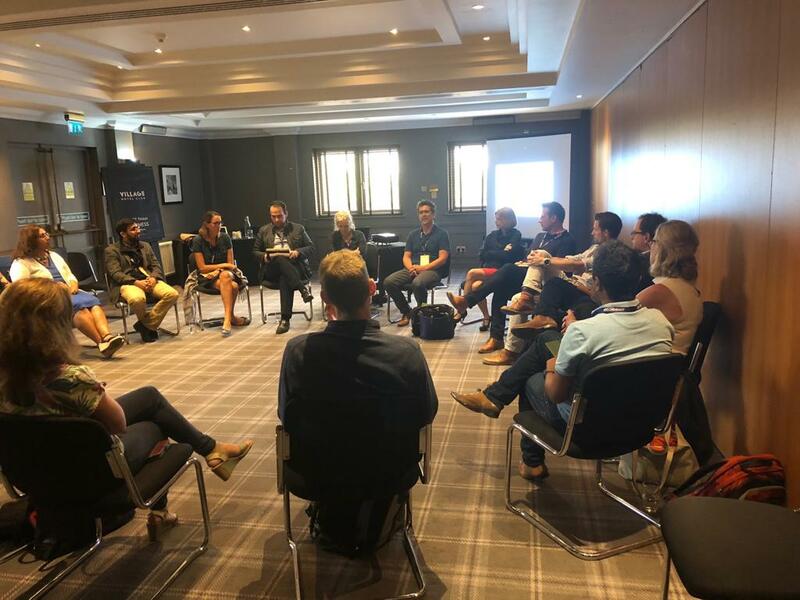 Half the people attending had never been to a Collaborate event before, which presented the perfect opportunity to mix everyone up and get people connecting with new names and faces. For Zalan, the evening had two stand out moments. Feedback was very positive, with one person in particular making the point that Collaborate feels like the NHS as it used to be; a space for positive energy and creative thinking, without fear of judgement. With trust being the theme of the evening, this comment perfectly captured what the Greater Manchester Collaborate community is trying to achieve. Another powerful moment for Zalan was a comment from another attendee – a junior doctor with an interest in general practice – who said that the simple act of talking and connecting with others had helped her, in a small but meaningful way, to process and move on from some of the negative emotions surrounding her experience as a refugee. She enjoyed and valued being able to share her story in such a safe and supportive environment. The next Greater Manchester event is due to take place in January and Zalan is already talking to the Alzheimer’s Society to see how they could be involved. In true Collaborate style, Zalan is passionate about the principle of co-production: bringing together as many voices as possible from across the health and social care space to create a better NHS for all. Further South in Swindon, Jonathan Serjeant led a Collaborate-style session on generative listening for members of the NHS@2030 leadership development programme. Exploring what it means and how it feels to go from a hierarchical, ego-based model of leadership to a collaborative, eco-based team, Jonathan encouraged participants to develop a new awareness of how they listen and communicate with others.